Spanish-language Univision's anchorman Jorge Ramos, who makes Gloria Vanderbilt's son Anderson Cooper look like the I-don't-have-to-show-you-no-stinking-badges undocumented federale inTreasure of the Sierra Madre, is the subject of a fawning write-up in The New Republic. Over the phone last week, Ramos told me that he sees Univision as a “social leader” in the Hispanic community. The network’s role in the community was especially clear in the weeks before the election, when it devoted extensive news coverage to the voter suppression efforts across the country and provided information for their viewers about voter registration in hopes of getting out the Latino vote. “Some people have really no other option than to watch us to find out what is going to happen with their life,” Ramos told me. In 2010, a survey from the Pew Hispanic Center found that Ramos was one of four people Hispanics identified as the “most important” national Latino leader—along with Sonia Sotomayor and Democratic Congressman Luis Gutierrez. The landslide winner: “Don’t know”, with 64 percent. Nobody other than this Feeble Four broke the one percent barrier. When the immigration debate begins in earnest, “from that table in Miami, he is a player in the negotiations,” says Roberto Suro, an expert on Latino politics and media at USC’s Annenberg School (and a friend to Ramos). Ramos, who is 54, was born in Mexico, where he worked as a radio journalist until 1983 when government censorship compelled him to move to America. In 1986, at the age of 28, he became the anchorman for Univision, and in the years since, he has become an impassioned advocate for undocumented immigrants. Ramos and Univision have not been shy about promoting their liberal stance on immigration. In A Country For All: An Immigrant Manifesto, one of several English-language books Ramos has written on the subject, he lays out his stance on immigration reform, making it clear that he wouldn’t accept anything short of citizenship—not even permanent legal residency—for the undocumented workers in this country. ... If the GOP’s strategy of embracing immigration reform has any chance of wooing back Latino voters, it will have to depend on Spanish-language media, particularly Univision, to get its message across. Eighty-eight percent of Latinos watch Spanish-language television, according to the American Journalism Review, and Univision is the clear leader in that market. For many Latinos, Univision is their only source of news.“72 percent of Latinos who watch Univision’s main evening news broadcast with Ramos and Salinas do not see any other television news,” according to the Guardian. Aren't you supposed to pass an English test to become a citizen? Or is that just too racist to enforce these days? But jokes are funny, and immigration, diversity, race, and all that is too sacred. It also probably won’t help that the Republicans’ supposed leader on immigration reform, Florida Senator Marco Rubio, has a troubled history with the network regarding a dispute over its coverage of his family, a story detailed in The New Yorker by Ken Auletta. It isn’t too late for Republicans to learn to better use Univision, and Democrats shouldn’t take their lead for granted. 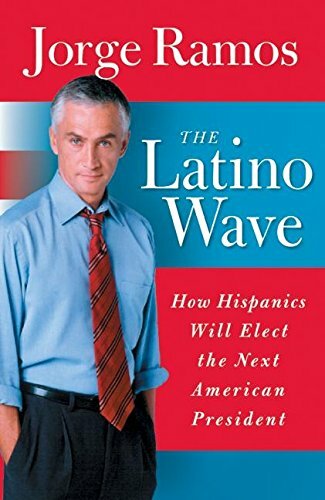 Ramos writes and speaks fondly about George W. Bush, who may have been the only presidential candidate to understand the importance of Spanish-language media, having hired Sonia Colin, a former Univision reporter, to handle his Latino outreach in his 2000 campaign. Have you ever noticed how Mexican-American affection for George W. Bush over Mitt Romney is never framed as reflecting the least bit badly on Mexican-Americans? I'm sure Bush would have won 10 to 1 over Romney in a poll of Latinos of who they'd rather watch Sabado Gigante with on Univision. But that Bush appealed to Mexicans because he seemed like kind of an idiot is always treated as a Good Thing in the context of liberal write-ups on immigration. In an email, House Majority Leader Eric Cantor’s spokesman Rory Cooper punted on the GOP’s specific plans for reform by reiterating the need for the Presidents’ leadership and, tellingly, referred to a Republican-backed STEM Visa program that would make it easier to keep immigrants with degrees in science and engineering—a proposal that, while good, is mostly unrelated to Latino immigration. Huh? I thought from the press coverage that all those DREAMers were rocket scientists who are going to enable America to finally go to the Moon.